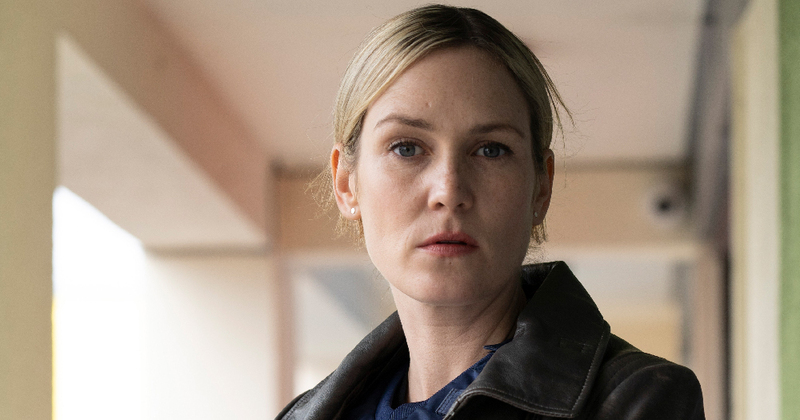 We caught up with the star of new crime drama 'Taken Down' which is being hailed as a major step forward for Irish television drama. Interviews 11 November, 2018 . Written by Katie Donohoe. Lynn Rafferty is back on our screens, at the helm in ‘Taken Down’, a new crime drama set in Dublin by the makers of ‘Love/Hate’. Lynn leads the investigation team as Inspector Jen Rooney as they investigate the violent death of a young Nigerian migrant found abandoned close to a Direct Provision Centre. “Someone said to me details like people just coming into your room unannounced is accurate to what happens. While preparing for her role as a police detective, Lynn took inspiration and advice from a friend of hers who is a Garda. When I was younger there was a lack of females in different roles on television. “What attracted me to Jen straight away was her description of being strong, tenacious and driven to where she is but also the fact that she has this kind of sense of empathy about her and she can put herself into other people’s positions quite easy which was something that interests me because it’s a good combination of things. “I think in terms of like forming of the script was very solid for me to kind of show and give me clues of who she is but I also did speak to a friend of mine who is a guard. Lynn feels the representation of strong real-life women on tv is important for young girls and teenagers to see. “When I was younger there was a lack of females in different roles on television. Not just from the investigation side. Abeni’s character is an incredibly strong character, what she has to deal with and still is so strong for her kids, and I think that real life stuff for me is what I would have seen growing up with women who were single mothers and were these strong figures and were just navigating their way every day through. “I think it is incredibly important and you know, on Jen’s side, the investigation side, I love having played that character. It’s very important to tell that working-class story because what to me represents working-class women is that hard working drive in women that will just get out and get what they need out of life despite the stuff that might be in the way. “I hope that younger girls look up to it and can kind of see what they can achieve despite the difficulties that might be in their way whether they’re a character like Abeni or characters like Jen or Niamh. Lynn brings experiences that taught her strength with her to the screen saying that her biggest role model growing up was her Mam. “My Mam was my biggest role model when I was growing up. She worked in community development and she always had me at women’s conferences and stuff when I was growing up. “In the line of work that my parents worked in, there were a lot of politicians and there was a lot of women that I grew up around that I looked up to. When you’re in this man’s world, how do you hold your own when year’s ago we weren’t seen as equals at all? “Those were the people who inspired me, the real-life women around me and they continue to be. Una Mullally is someone that I’ve known for 14 years and she’s been someone that even though were the same age I’ve always looked up to because I have great admiration for her. “I played football all my life with guys and I think that’s what I can relate it to like I had to be such a strong character to hold my own against all these guys that I was playing football with. “I was quite good but still I was never seen as being good because I was the girl so I had to always put myself out there and that was kind of the one thing that I can always relate back to is just sometimes when you’re in this man’s world, how do you hold your own when year’s ago we weren’t seen as equals at all? Thankfully now there’s a bit more equality now. I think now what I’ve noticed online is young people having conversations about Direct Provision and having conversations about how diverse Ireland actually is and the world that they live in. “I have two older brothers so that had an impact on me as well but in other ways, I’m definitely not as tough as Jen I’ll say unfortunately I wish I was and I’m not as mature. I felt like a grown up all summer. There are definitely elements there that I try to bring from my own experiences of trying to hold my own in certain situations. Lynn now lives in Toronto but every time she comes back to Ireland she notices the social progress taking place. “What I notice more and more is voices that young people are giving to different issues. That’s how we do progress is young people creating future that they want to live in and actually putting their voice to things like the marriage referendum and repeal. “I think now what I’ve noticed online is young people having conversations about Direct Provision and having conversations about how diverse Ireland actually is and the world that they live in. ‘Taken Down’ continues at 9.30pm on Sunday on RTÉ One. 11 November, 2018 . Written by Katie Donohoe.